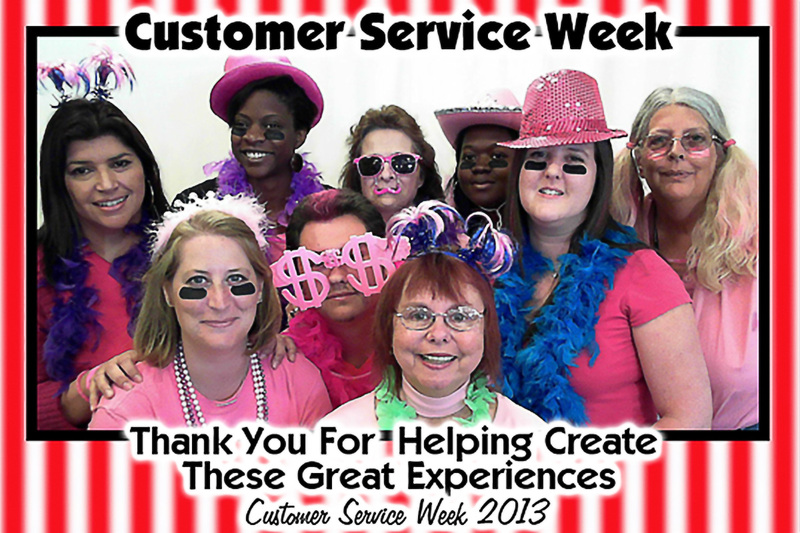 Comcast gave their employees the opportunity to “ham it up” at their annual Customer Service Week. The Guppy POD open style photo booth with an instant branded photo gave each employee a lasting memory of the week. With a carnival theme and lots of props, employees had a blast taking both individual, group and team photos. Adding to the excitement, the Guppy POD was able to print Instagram photos taken by employees on their smart phones throughout the week and sent to a unique hashtag. We love the Guppy because of its small footprint and its accommodation for larger group photos. The Guppy is also social media friendly allowing guests to email, Facebook and Tweet their photos directly from the booth. Visit Photo Magic Events for more info or to reserve your date. Give your employee, guest or attendee a photo booth experience and gift they will keep and remember forever!